That’s a load of rubbish! 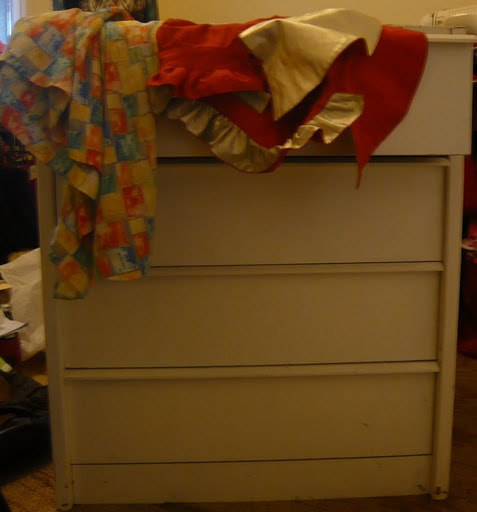 No, this post is not actually about my bedroom, although given its current state, you’d be forgiven for thinking that. Why is it such a mess? Well, it’s partly because I’ve been too busy to clean up, what with work, my freelance writing, and doing the most boring course in the world (which, in answer to Katie’s question, is Certificate IV in Training and Assessment, and I’m only doing it because three years ago I paid over $1000 for it. It’s taken three years for me to do it because I hate it so much. There just always seems to be something more important to do. Like clipping Suki’s claws, or picking hair out of my brush… am I making it clear how boring the course is?). 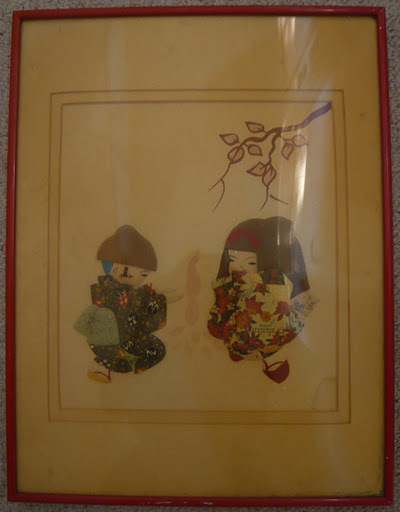 I also found this cute Japanese picture… well, it looked cute in the dark, but it’s actually quite old and yellowed. The kids’ hair is meant to be black but it’s faded to brown!! 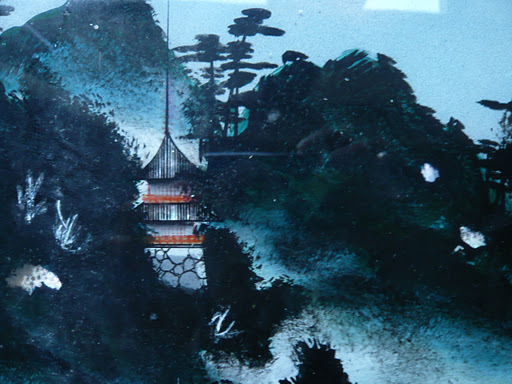 Never mind, I like old crappy stuff, as you’ve probably guessed by now. I’ve saved the best till last. 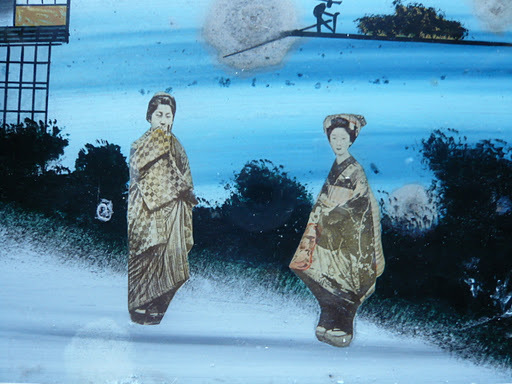 This was from the same place as the other picture, and I’m guessing these people liked Japan at one stage, because this is also a bit of Japanese kitsch. 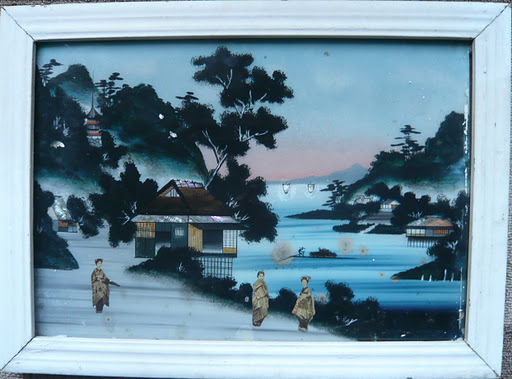 The frame’s kind of old and falling apart and there are a few spots of mould on the picture itself, but, um, it adds to the charm?? 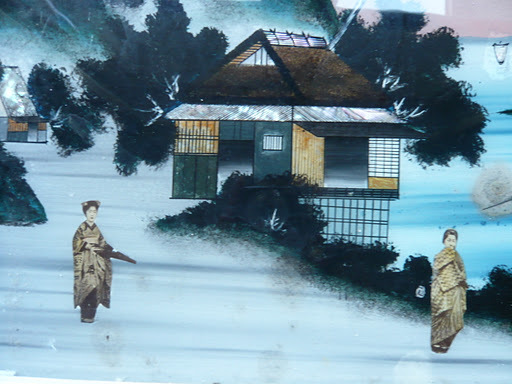 I love how the artist has gone down the multi-media path and used old photos to stick on over the oil paint… and there are bits of mother of pearl on the roofs of the houses too. My co-scavenger managed to find a dodgy poster which he described as “stoner art” (still in its plastic wrap! ), an electronic typewriter (which he said he would sell to a hipster), a pie tin, two Persian rugs and a mirror. Not bad! 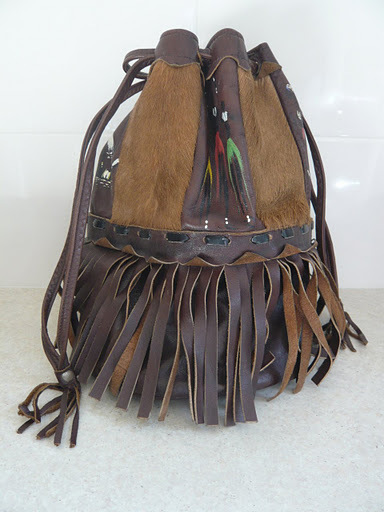 Of course after all those finds, I still didn’t have enough stuff, so I had to buy this bag from the Salvos on the weekend. It’s African-themed. It’s got fringing. It’s real leather. It was $6. There’s no way I could resist. How about you? 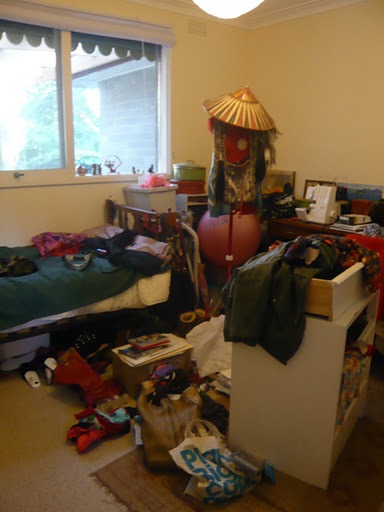 Have you found anything good in the hard rubbish lately? I know someone who has… pattern envy going on here!! ← National Swap Day – let’s make it a date? The bag is awesome. Looks like something the Proenza boys would send down the runway! 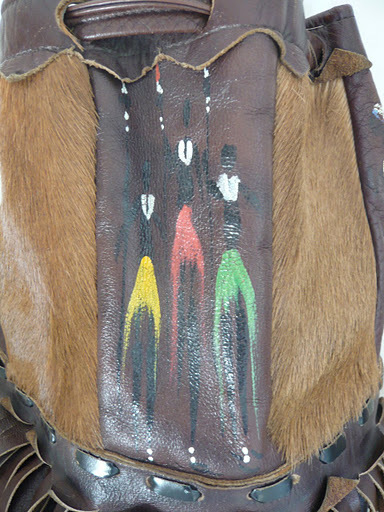 Love your Japanese pictures, but particularly love your amazing African fringe bag! That bag is fantastic – I wouldn't have been able to resist either! Thanks everyone! For some reason I can't comment from my computer at work so sorry I haven't been replying! !